What is the future of Archer? Following the recent conclusion of the FX cartoon series’ seventh season, the answer to that question remains unclear, as the network has not yet renewed the series, despite a cliffhanger at the end of season 7. The series has successfully reinvented itself multiple times, pivoting from the spy-based shenanigans of the early seasons to a drug-dealing plot, and then back to spying and then to a private detective show -- while also, for obvious reasons, dropping the spy agency name ISIS. 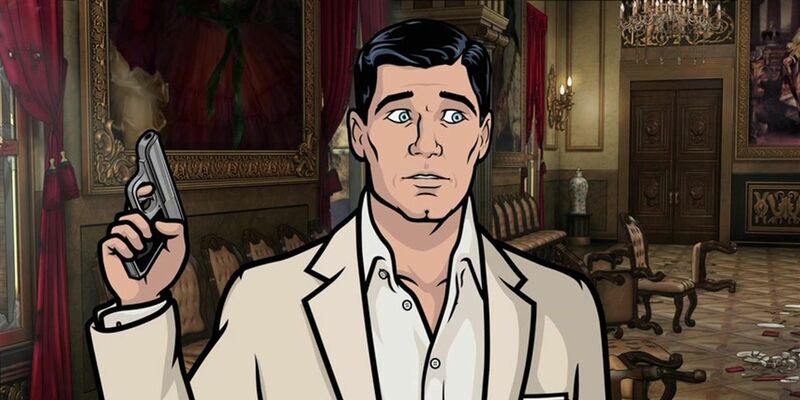 Now, it appears that if Archer does return, it might pivot again -- to live action. Yes, some of the show’s producers are considering a live-action movie, in which their actor of choice to play protagonist Sterling Archer is Jon Hamm. How serious the producers are about the live action movie, or the Hamm-as-Archer idea, remains unclear. Whether the style of the series would translate to live action, or the size of the difference in budget between cartoon action and live-action is feasible, are very much open questions. And part of what's always made the show great is its cartoonish-ness- it’s hard to imagine, for instance, any of the jokes about Pam landing the same way with a live actress. As for Jon Hamm? 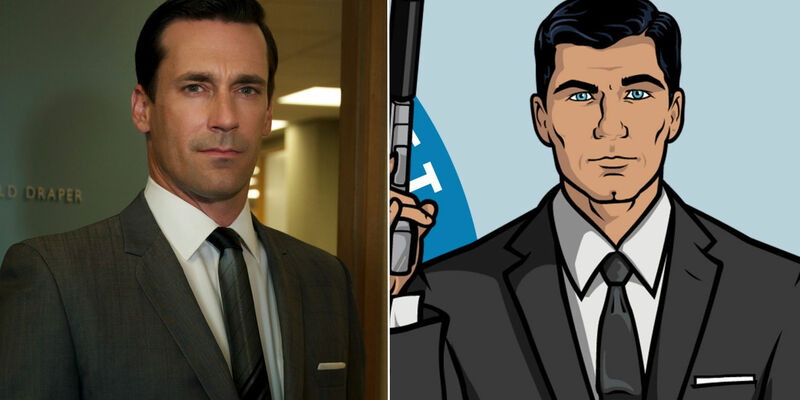 It’s hard to imagine more perfect casting of a cartoon character with a live actor, since Hamm looks much more like Sterling Archer than does the actor who voices him, H. Jon Benjamin. And Hamm has played the live-action version of a longtime cartoon before, when he appeared in a live-action version of The Ambiguously Gay Duo on a 2011 Saturday Night Live episode. More importantly, Hamm is a fantastic actor, as anyone who has seen Mad Men can attest, although his work has never quite translated into movie stardom. It may not be clear who should play the next James Bond, but it's clear who should be the live-action Archer. Screen Rant will have more details on Archer as they're made available.